Partnerships are a great way forward to enable decarbonization of the gas sector. 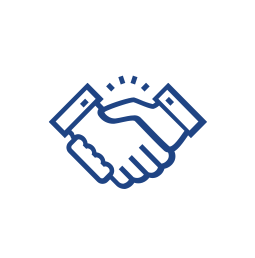 ENTSOG’s Members (TSOs) are engaging in new partnerships and initiatives such as the Green Gas Initiative, Gas for Climate initiative and are active via the European Power to Gas Platform, to name a few examples. Our TSOs are actively working together as well as with various private stakeholders on projects aimed to offer sustainable solutions for the gas sector and of the whole EU economy. Please have a look at some of the examples below. Bayernets is a partner of the dena pilot study Integrated Energy Transition. Gaz Metro and Fluxys work together to develop the liquefied and compressed natural gas market. The agreement will pave the way for an exchange of information and expertise related to LNG and CNG, particularly on the technical, commercial, contractual, regulatory, fiscal and administrative fronts. The two parties, which indirectly share a major shareholder in the Caisse de dépôt et placement du Québec, have also agreed to explore co-investment opportunities as interesting projects take shape. On 9 March 2018 National Grid published the Future of Gas: How gas can support a low carbon future. This report is the end product of collaboration with over 150 stakeholders in order to develop divergent pathways of the future to meet the 2050 carbon targets, to test National Grid's thinking about the capabilities of the gas network. The Future of Gas report detailed National Grid's next steps as well as a series of policy recommendations. The key themes of the report include: Decarbonisation of heat, Decarbonisation of Transport, Decarbonisation of Industry, Whole Energy Systems and Future Networks and Markets. Gas for Climate is a consortium created in 2017 consisting of seven European TSOs (Snam, Enagás, Fluxys, Gasunie, GRTgaz, Open Grid Europe and TIGF) and two renewable gas industry associations (Consorzio Italiano Biogas and European Biogas Association). The consortium commissioned to Ecofys a study which shows that it is possible to scale up renewable gas production between now and 2050 to more than 120 billion m3 annually, including both renewable hydrogen and biomethane: this could save about €140 billion annually by 2050 compared to a future zero-emission energy system without any gas. Gasunie Deutschland, Tennet and Thyssengas will plan a 100 MW power-to-gas-installation. Planned operation in different phases from 2022. It will become the biggest power-to-gas-installation in Germany. Alternative transport fuel will see Clean Ireland Recycling in Ireland become the first waste management company to operate CNG fuelled trucks. Fluxys Belgium undertakes applied research either by itself or in conjunction with academic institutions. It also collaborates with Gas.be and other European gas companies in various national and international organisations. The foundation brings together various parties, including Gasunie, with the aim of increasing the share of green gas in the Netherlands.